Ever An' Angel MESH Sheer Boho Top - 9 colors. Your Favorite Jeans - 6 colors. 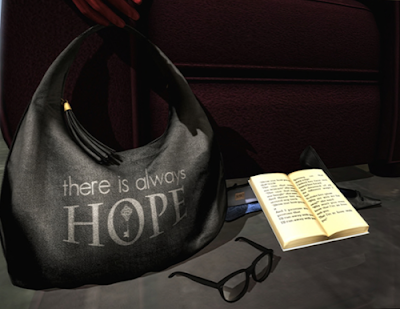 je suis... l'espoir bag: je suis... is taking part to the new amazing event organized by CHIC, Back to Black, that runs from February the 11th to February the 29th. It's an AWARENESS event about mental health issues, inspired by the words strength, courage, survival, hope, determination, spirit and fighter. They were assigned to "hope", and offering as a special release je suis... l'espoir, a MESH bag in a specific themed print, available at the event only and then gone forever. The price is special too: 149L! Includes left and right hold animations as well as no pose versions. Paris Metro Couture Flower Flamingo Gown & Wrap Dress. "Your soul knows the geography of your destiny. Your soul alone has the map of your future, therefore,you can trust this indirect, oblique side of yourself. If you do, it will take you where you need to go, but more important, it will teach you a kindness of rhythm in your journey." creation of our 'Krystal' Series, Krystal 3, The 'Black Ninja' Edition. The Katina set which includes drawn and sheathed swords and scabbard. also available as a seperate item. This is #5 from The Valentine Collection and looks lovely even without the top attachment. The collection includes a variety including gowns, all at only LS75 each. 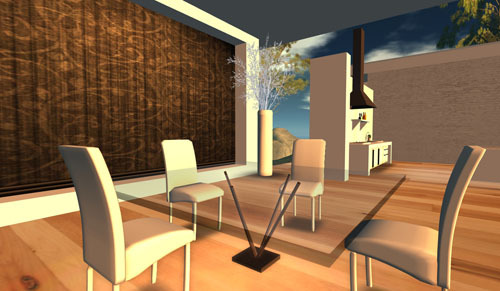 Come check them all out at Sascha's Designs. I'm a girly girl through and through so it should be no surprise that I'm totally in love with the graceful lines, bows and lace that give this new outfit from Vero Modero a subtle yet classy sexiness. Shown in blue. Also available in pink.